The salubrious village of Covelong is renowned for its fishing activities. 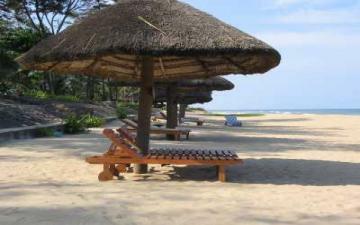 In the fishing village the swaying palms and the beautiful beach attract people from across the globe. The environs, ambience, peace, tranquility and the infrastructure at the Covelong beach come together to make it one of the most popular beach resorts on the Coromandel Coast. In the yester years Covelong was the renowned port of the Nawabs of the Carnatic. On digging the past it is revealed that Saadat Ali, Nawab of Carnatic, built the ancient port of Covelong.